Soda ages cells as much as cigarettes: Debunking telomere studies of health and aging. Does Drinking Soda Really Age Your Cells? How the science of telomeres turned into a spurious health trend. 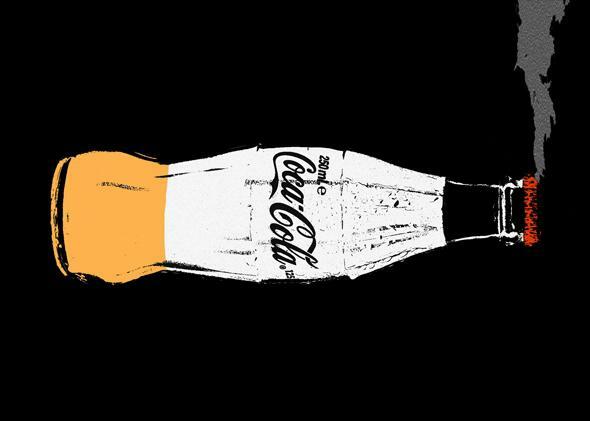 Drinking a Coke a day is not nearly as bad as smoking a pack a day. Photo illustration by Ellie Skrzat. Photos by serdar_yorulmaz/Thinkstock and Trifonov_Evgeniy/Thinkstock. Even by the sub-basement standards of health and wellness journalism, this month’s showing has been poor. Here’s the latest scary fact about your health, fresh on your Facebook feeds and in the morning paper: Drinking soda ages you as much as smoking cigarettes, according to a new study published in the American Journal of Public Health. Other versions of the story warned that soft-drink addicts are slowly killing themselves with added sugar and that a 20-ounce-a-day habit has been shown to trim half a decade from your life. In the words of Anderson Cooper: “Yikes!! !” But let me reassure you: The new paper doesn’t show that the long-term health effects of soda and tobacco are comparable. (They’re not—tobacco is far, far worse.) It doesn’t prove that Coca-Cola kills people. And it doesn’t estimate the effects of drinking Pepsi on anyone’s lifespan. It only claims to find a subtle difference between soda lovers’ blood cells and those of everybody else. The shallow write-ups and inveigling headlines are insulting, and possibly injurious. In this case, though, they’re less offensive than the underlying science. The newly published paper delivers a mishmash of suspect stats and overbroad conclusions, marshaled to advance a theory that’s both unsupported by the data and somewhat at odds with existing research in the field. Its authors are less concerned with the health effects of drinking soda than with their broader project to establish a still new and fuzzy concept—“cellular aging”—as a pole star for public health. It’s a shrewd maneuver. Their study adds corroborating detail to a pre-existing narrative: We know (or think we know) that soft drinks are a deadly vice and that they send a toxic dose of sugar straight into our veins. The authors push the story further, saying that soda doesn’t only make us sick, it “ages our cells.” And if that’s what soda does, with all its lethal sugar, then “cellular aging” must be something real—a valid measure of our inner rot. Fine, let’s take the bait: What’s cellular aging, anyway? Research in this area starts from the fact that a cell’s stringy chromosomes are capped at either end with something called a telomere, which works to keep nucleic acids from unraveling, sort of like the aglet on a shoelace. But every time a cell divides, its telomeres get a little smaller, until they’re so tiny that they fail to work. That’s when a given line of cells becomes defunct—replication stops. When the candlewick burns down, a cell becomes decrepit. 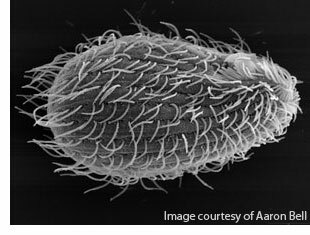 No one really understood the mechanics of this process until the 1970s, when the molecular biologist Elizabeth Blackburn—one of the authors on last week’s soda paper—started looking at the genetic material of Tetrahymena, a hairy protozoan in the shape of an unpeeled rambutan. Starting with this model organism, she and others showed how the length of telomeres could shift throughout an organism’s life. Damage to a cell might speed the rate of telomeric shrinkage and accelerate its aging. Certain enzymes work in the opposite direction: They help rebuild the telomeres and slow that aging down. This gave rise to a simple and powerful notion, that the life-stage of a person’s cells—as measured by the length of their telomeres—might be an index of the aging of her body. Doctors knew that patients with malformed telomeres seemed to end up old beyond their years. In one syndrome, caused by a rare gene mutation that leads to prematurely shortened telomeres, people start to lose their hair, develop cataracts, and suffer from osteoporosis shortly after adolescence. Researchers in Blackburn’s lab and elsewhere wondered if the telomeres might provide some clues to health in normal people, too. Would the signs of cellular aging predict gross disease and disability? In 2003, a team at the University of Utah published a clever experiment: They analyzed blood samples that had been drawn from senior citizens in the 1980s and checked the length of each person’s telomeres. Then they compared those values to the ages at which the people died. Their findings were dramatic: People with the shortest telomeres died four or five years earlier, on average, than everyone else. The implications were enormous: With a simple blood test, doctors could read off a patient’s biological clock and figure out her risk of death. More research quickly followed, but the data weren’t quite as neat as anyone had hoped. A review from 2010 listed 10 studies of telomere length and early death, of which five found no association whatsoever. Different groups also tried and failed to link the length of telomeres with patients’ blood pressure, lung function, and grip strength (an indicator of overall health). Some studies did find that shorter telomeres predicted cognitive impairment—cellular aging might predispose you to dementia, for example—but other analyses found the opposite. Despite this data fog, scientists drove on. More research led to more confusion: Both positive and negative associations were found between a person’s telomeres and the amount she smoked, drank, or exercised, and also with her body mass index. By now no fewer than 31 studies have been conducted on the possible link between telomere length and socioeconomic status, on the theory that the stress of being poor could make a person age more quickly. Some have claimed to find a real effect, but taken all together, the evidence is weak. According to a summary of the field from 2013, the only correlations that do seem to hold across the corpus of research are those that have to do with age, gender, and race. Our telomeres get shorter as we age—that much is certain. (Although we all start with telomeres of different lengths, and the rate of decline also varies.) It also seems that men have shorter telomeres than women, on average, and whites have shorter telomeres than blacks. Perhaps no group has been more sanguine, though, then the one that started up the craze. At the University of California–San Francisco, Elizabeth Blackburn and her colleagues—in particular a research psychologist named Elissa Epel—have produced a string of remarkable claims about cellular aging. In 2004, they took blood samples and questionnaire data from a small group of middle-aged women, and concluded that those who experienced very high levels of stress had much shorter telomeres. The difference amounted to at least an additional decade of natural aging, they said—more than double the effect they now apply to drinking soda. Once again, subsequent research has come to somewhat different conclusions: A study published this year found no evidence of a relationship between telomere length and life stressors. Epel and Blackburn’s more recent work suggests a willingness to excavate results from whatever quarry they explore. For a 2014 study, they tested the blood of about 100 middle-aged black men sampled from churches and barbershops around San Francisco, to see if “cellular aging” might have something to do with racism. Their paper describes a passel of non-effects: Telomere-length correlates with neither the experience of discrimination (as assessed in a questionnaire) nor the subjects’ own “internalized racism” (as measured by implicit association tests). But they did manage to dig up a positive when they combined those same two variables. * The experience of racism and the internalization of racism seem to “operate jointly to accelerate aging among African-American men,” they wrote. To get at this research question, they looked at blood samples taken from about 5,000 adults during a national health survey conducted between 1999 and 2002. They ran into a problem, though, because everything they knew about their subjects’ beverage habits came from a 24-hour dietary recall test conducted at the time of the blood draws. That’s a single interview, about 15 to 30 minutes long, in which the subjects had to list everything they’d put into their mouths on the previous day. Since even a heavy soda-drinker might skip his Coca-Cola on any given day, this lack of data posed a problem. So the research team guessed their subjects’ diets based on the meager facts they had: Those original interviews plus another one conducted several years later, then corrected according to the subjects’ age, gender, and race. Then they compared the extrapolated habits to their measurements of telomeres. It seems that Epel and her colleagues didn’t find what they expected. Their raw numbers appear to show the opposite, in fact, with subjects who drink more sugar-sweetened beverages having longer telomeres instead of shorter ones. The reverse effect disappeared when they controlled for possible confounders including age, gender, race, and overall diet. But even that analysis did not support their original hypothesis: Sugary drinks had no association with the length of people’s telomeres. There’s a deeper problem with this sort of research, though. Even under the most charitable assumptions, it only tells us what we knew already. Epel and Blackburn have strained to make a single value—telomeric length—stand in for every social ill: soda, cigarettes, poverty, racism, insomnia, stress, insufficient yoga, and so on. But what’s the point? I guess it might offer some validation if we could put a ruler to our misery and know that all these awful things don’t just make us sad and sick, they age our very cells. “This gives a very concrete—albeit statistical—readout of how you are doing,” Blackburn told a reporter from Nature several years ago. “We have a study going on now and people were beating down the doors to be in it. So this seems to be a useful measure that people can relate to.” That may be true. But if telomeres end up a vital tool for public health, it won’t be until the science has matured beyond this early stage. For now, a single dictum should suffice: It’s nice to be relatable. It’s better to be reliable.